Roll may be the only piece of furniture available with rolling doors. 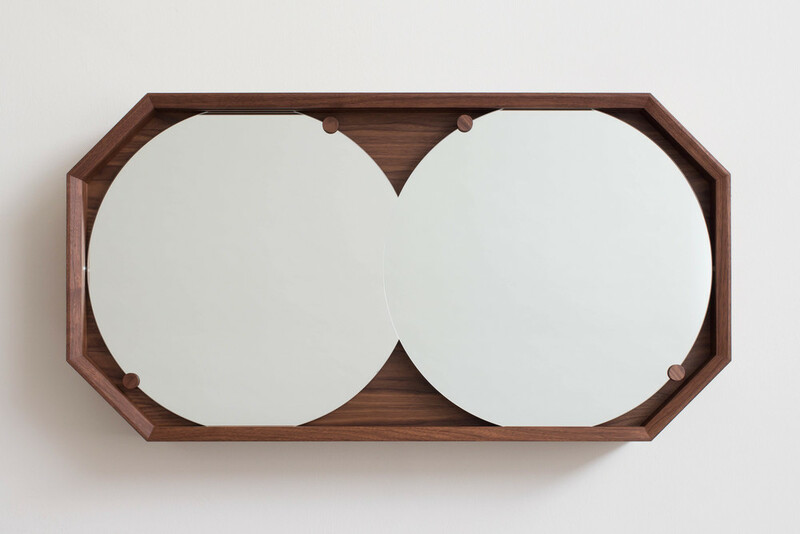 This wall-mounted cabinet has glass mirrors that roll open to provide access to the storage spaces behind them. Each storage space may contain either adjustable solid wood shelves or solid brass pegs for hanging jewelry and keys. 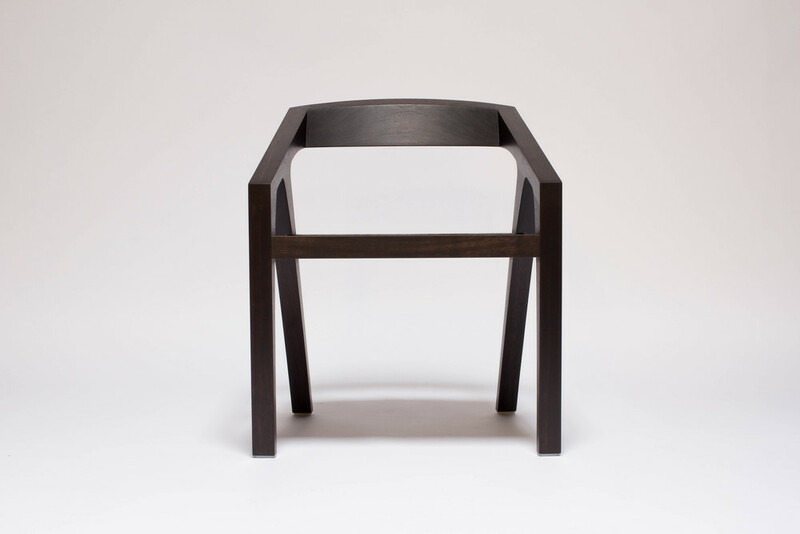 Thick is a dining or side chair that looks both heavy and light at the same time. Unlike many armchairs, Thick may be tucked most of the way under a dining table due to its slanted armrests. Saddle leather is slung across the seat opening for flexible comfort. C3 is a side or end table which is made from three C-shaped sections of solid wood. Each section is made from a single piece of wood and the wood grain runs continuously around. Multiple units may line up and fit into each other to create a larger whole unit. The Ninety Stacking Chair is a simple and comfortable dining chair that can stack when not in use. The seat is made from saddle leather slung over a round opening for comfort. The leather back flexes to fit you while the rear handle offers a way to pull out your chair. The Ninety Stacking Stool is a counter stool that can stack when you need it to. Thick saddle leather is slung across the seat and back for flexible comfort. Includes a footrest and a rear handle and can be ordered in any height requested. 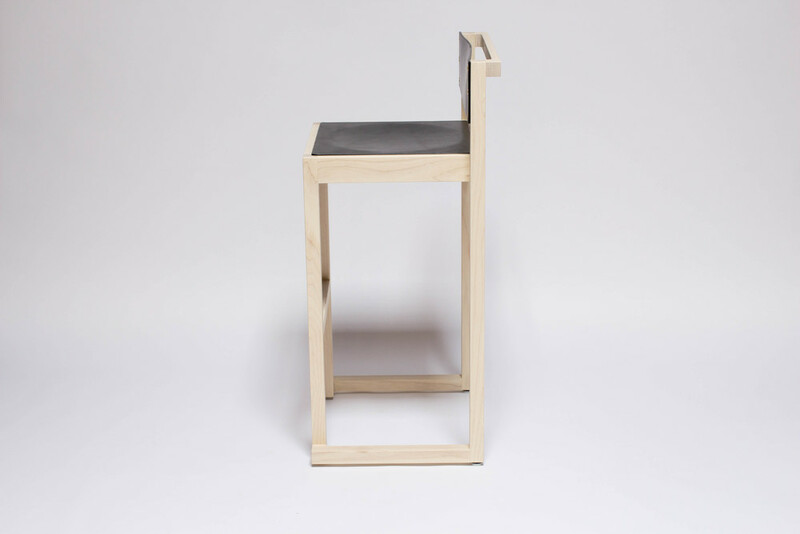 The Ninety Barstool is a backless stool that allows a user to sit in any direction. Footrests are on all sides. The thick saddle leather seat slung over a round opening provides a comfortable sit. The Sutro Coat Rack is a coat rack inspired by San Francisco's Sutro Tower. Made from hardwood plywood, it can ship flat to be assembled by the end user. Includes a Beer Hammer, which is a piece of plywood that becomes an assembly tool with the addition of a can of beer. The Fake Slab Table is a cheeky take on the trend of natural edge or slab tables. Inspired by George Nakashima's famous work, this table is made from plywood and laminate with a single claro walnut bow tie. It is made by robots and is decidedly not artisanal.